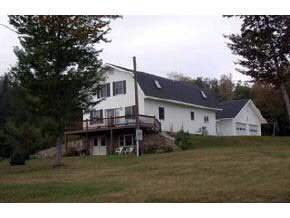 344 Creamery Road Ryegate, VT. | MLS# 4475312 | Vt. & NH Homes for Sale, Property Search in Wells River/Woodsville Areas. LOVELY GAMBREL NESTLED IN THE MOUNTAINS WITH GREAT VIEW. LONG DRIVE, FIRST ENTRY IS SHORT R.O.W., VERY PRIVATE....OFFERS MOUNTAIN VIEWS....SOME RADIANT HEAT, LARGE ROOMS, WOOD STOVE NOT INCL.